Whenever a large indoor space needs to be illuminated, LED (light-emitting diode) high bay lighting is usually apt. High bay lighting fixtures typically hang from the ceiling via hooks, chains or pendants, or they may be fixed to the ceiling directly. 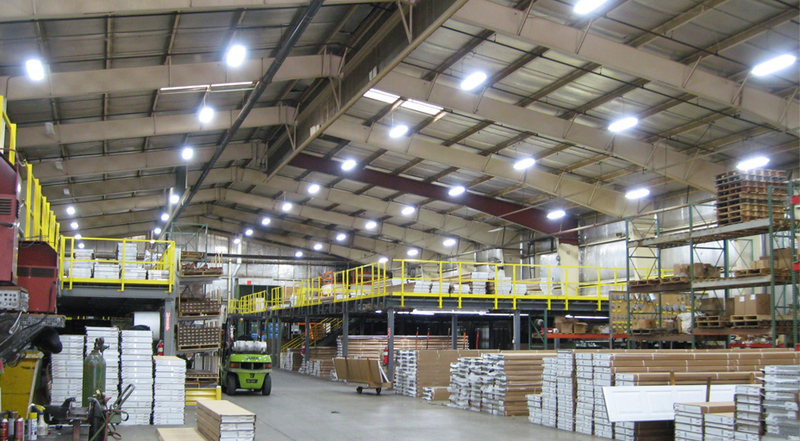 Energy efficiency or energy savings is the biggest advantage that high bay LED lighting has over other types of lighting. This is why businesses and companies go for it. LED lights generate and also distribute light more evenly than conventional lighting options, which results in less energy required to provide the same output. LED High Bay lighting wholesalers recommend high bay LED lighting as the best option for lighting in warehouses and other spacious indoor areas. High bay LED lights are long lasting and extremely durable. They are close to damage-proof and need very little maintenance over their lifespan. These facilities are typically vast and cover a lot of vertical as well as horizontal space, and require powerful lighting to provide the appropriate foot-candle levels to adequately illuminate. Explosion proof lights and hazardous location lights are used in places where concentrations of volatile gases, flammable dust or particulates, or flammable chemicals are high enough to present a danger of ignition that can result to explosion or fire. Examples are rig lights, offshore lights, and paint spray booth lights. If you are looking for LED High Bay lighting wholesalers that offer the best value and service for all LED high bay lighting needs, look no further than Maes Lighting. They also sell the best explosion proof lights and hazardous location lights on the market.